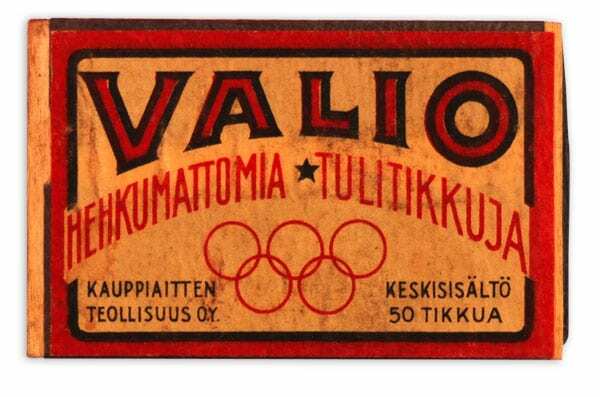 Description: The label in black and white: VALIO HEHKUMATTOMIA TULITIKKUJA [Non-glowing matches] KAUPPIAITTEN TEOLLISUUS O.Y. KESKISISÄLTÖ 50 TIKKUA [Average vol. 50 matches]; The Olympic rings.